Conrail was a product of the 4R Act (Railroad Revitalization and Regulatory Reform Act), which was passed in 1976 to avert the potential collapse of railroading in the eastern U.S. The railroad began operations in 1976, and it struggled for the most part until the national deregulation of the railroading industry four years later. 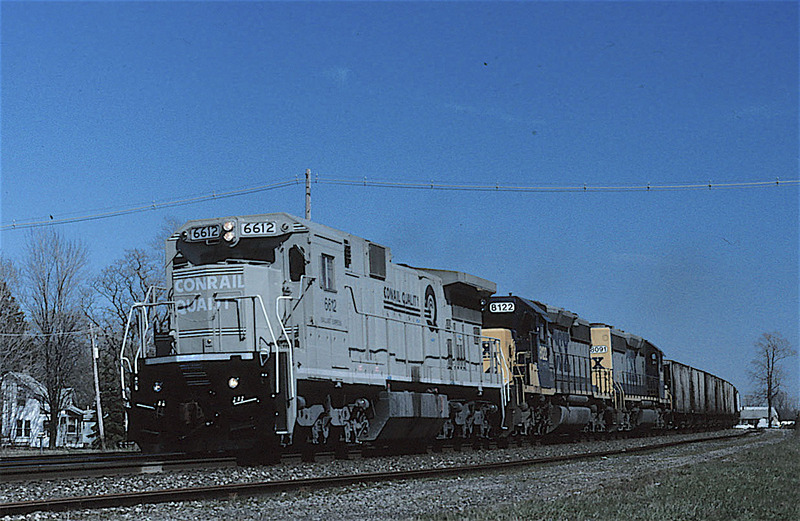 Conrail's turnaround was huge; by 1983, "Big Blue" had become the fourth largest freight carrier in the country. 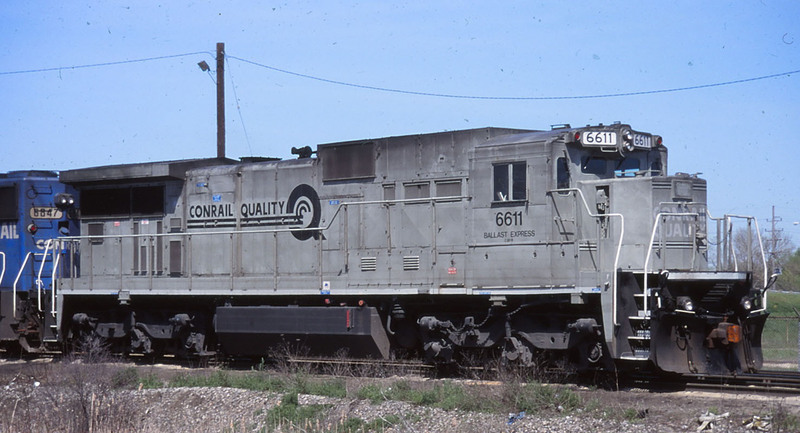 As profitablity grew, so did recognition of the Conrail name within the general public and financial community. In terms of graphic design and layout, there was a lot more to the big eastern freight hauler than just its "can-opener" logo. Some of the more notable graphic treatments are identified here. Reference sources: Conrail (volume 1) by Scott Hartley; Conrail Power Review (volume 1) by Gordon Lloyd, Jr. and Louis A. Marre, along with the "Conrail Special Graphics" roster on TDS website. "Rail Pictures.net" and "RRpicturesarchive.net" websites were especially helpful here in identify potential photographers and related images.We extend our thanks to these valuable resources. Thanks also to Michael Richmond who was very helpful in identifying and gaining permission to use many of the above photos.